See scan - very good condition. 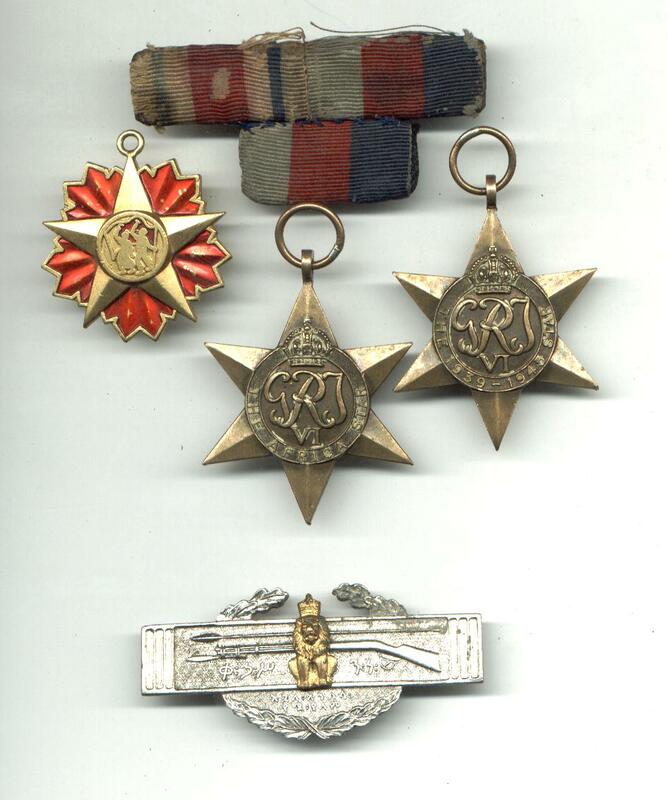 This is a nice UK United Kingdom / Britain WWII campaigns in Ethiopia medals group of 3 medals including The 1939-45 star, the Africa star and an unknown Ethiopian medal in red enamel and gilt. The set comes with original ribbon chart that has hooks for the medals at back. The group also includes a nice infantry or sharp shooter Ethiopian badge marked S.A. Seyadjan at reverse and showing a rifle and the Ethiopian Lion at obverse with some text in Ethiopian. Nice militaria / military collector group and one of the nice British medals sets.